This cocktail might just be "Summer" all wrapped up in frosty treat. 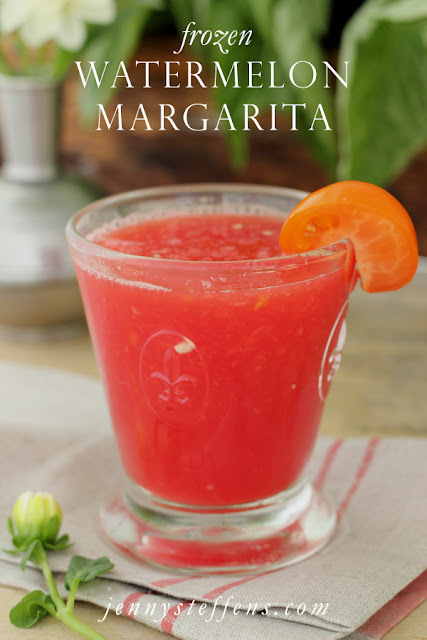 I've garnished this one with a slice of an heirloom tomato for the Tomato Tasting Dinner Party, but you can go for the traditional salt and lime for any kind of party. Cut watermelon into cubes, removing any black seeds. Spread the cubes on a baking sheet and freeze for at least 2 hours. 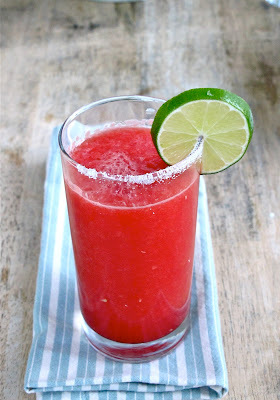 Place the frozen watermelon cubes in the blender with 1 cup of tequila, orange liquer and lime juice. Blend until smooth. You may need to blend it in smaller batches, depending on the size of your blender. Serve with a salted rim and a slice of lime. 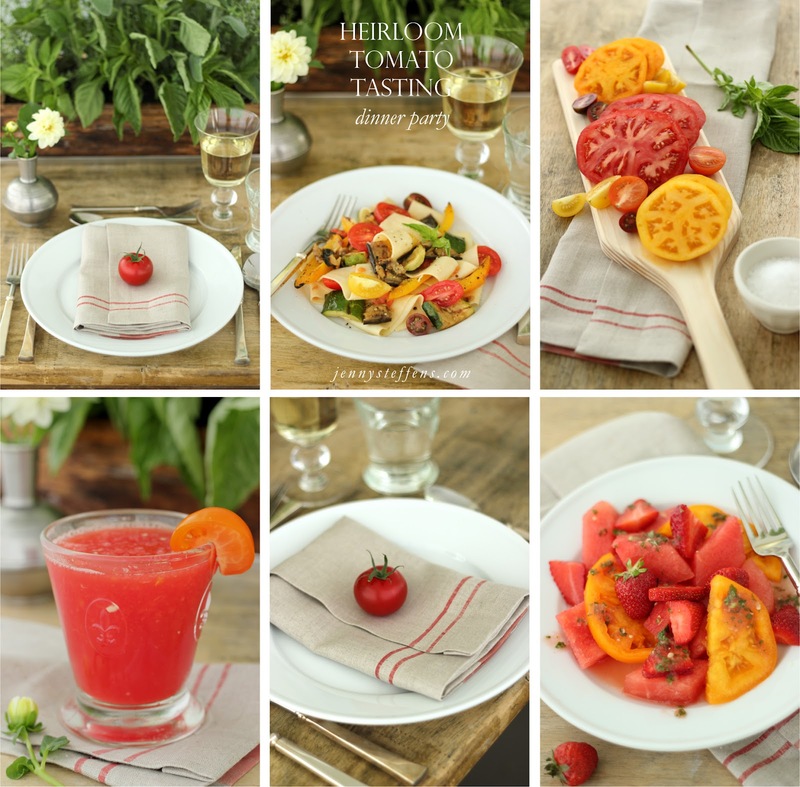 To see the entire Heirloom Tomato Tasting Party with recipes and tips, click here! Yum! I will definitely be trying this recipe. Thanks Jenny! What do you use to get text onto your pictures? Sounds wonderful and I love the fleur de lis glass! Your whole series on the Tomato Tasting Party is fascinating...and so beautifully styled and photographed! Looks like I want to make it ASAP. Thanks for the share.